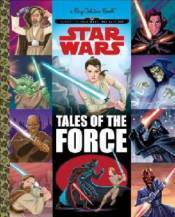 Meet all the brave Jedi from the Star Wars saga in this hardcover Big Golden Book! Meet Luke Skywalker, Obi-Wan Kenobi, Yoda, and all the brave Jedi from the epic Star Wars space saga! Featuring stunning retro illustrations, this hardcover book is perfect for Star Wars - and Big Golden Book - fans of all ages.